Add an EventSubmit Now - It's Free! Subject: LongIsland.com - Your Name sent you Event details of "Figure Abstractions"
Oops!! The event you are looking for is expired. Check Live Events! The Alfred Van Loen Gallery at the South Huntington Public Library is pleased to announce a solo exhibit of drawings by Patricia Russac. Her work will be exhibited from September 16th - October 11th, please join us at her reception on Saturday September 16th between 2-4pm. These mostly large scale drawings move from the figurative to the abstract, flipping between the conscious figure to the subconscious abstract merging as one and producing a language of metaphors. There’s a calligraphy of line and form that dances with rhythm and harmony across her surfaces. 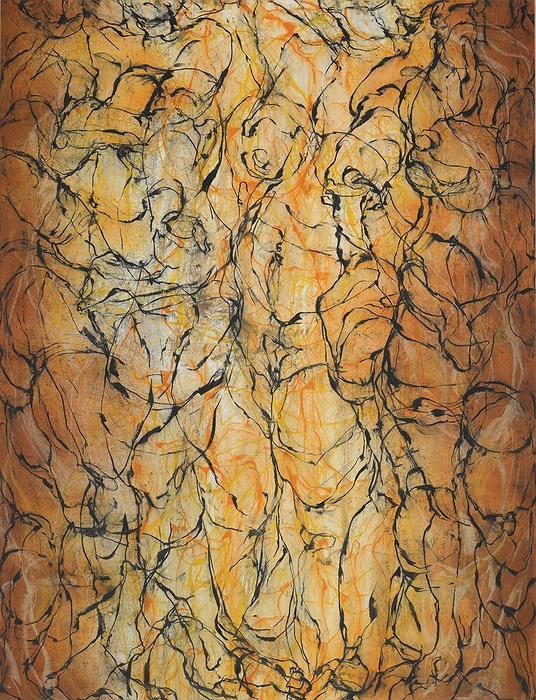 The line and the human form is the basis of these works. Russac’s process begins with saturating high quality printmaking paper in water to allow her pastels and ink to flow smoothly across the surface, creating layers of intricate organic intertwining of line, color and shape.